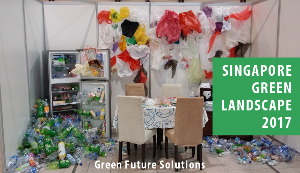 Do you wish to see a more sustainable Singapore and have good ideas to share? 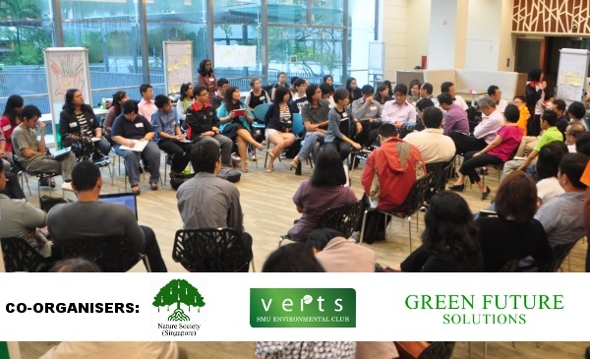 We’re pleased to announce that Nature Society (Singapore), SMU verts and Green Future Solutions are co-organising 3 Conversations on Sustainable Singapore for you to discuss specific topics and share suggestions. The aim of the conversations is to generate constructive and specific suggestions, which would be submitted for the Sustainable Singapore Blueprint review by the Ministry of the Environment and Water Resources. We look forward to your participation in the Conversations on Sustainable Singapore!